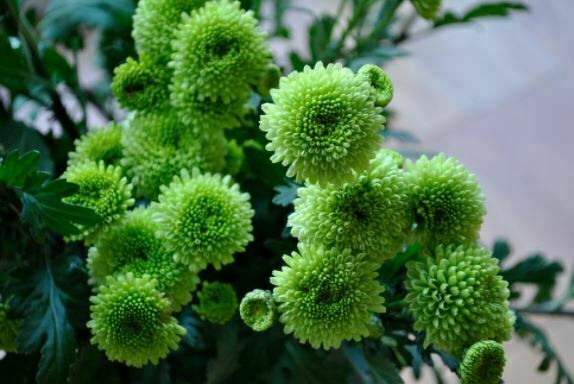 Green Flowers – Not only are they beautiful but the green flowers also represent rejuvenation, nature and life. They are also considered as symbolic of youth and good fortune in some regions across the world. Unfortunately, they are not always the first choices when it comes to arrange a beautiful flower bouquet just because they are green in colors unlike other flowers with various bright colors. But indeed, these flowers with their refreshing green color can actually make stunning floral arrangement. Included in this family are these following flowers. This orchid consists of several genuses in which each is distinguished by the shape of pouches. 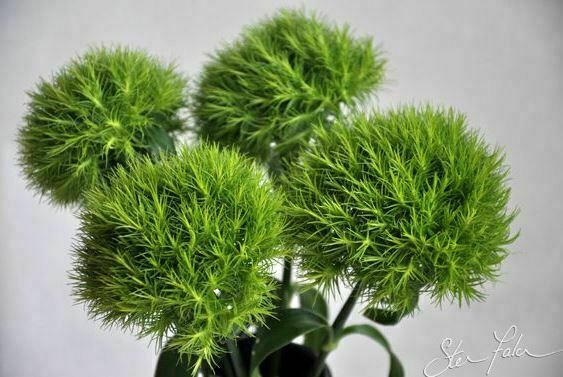 This beautiful green flower plant usually has 2 leaves with green color. 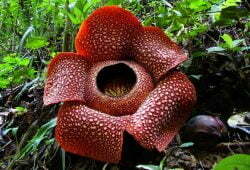 The flower itself can grow up to 7.6 cm long with tight opening in the front. In its natural habitat, it usually grows in the shady forests under Sweetgum, Red Maple, oaks or pine trees. Meanwhile, it also grows alongside other plants like Sassafras and Greenbier. Naturally, it is also a food source for several animals including the white-tailed deer and some insects. 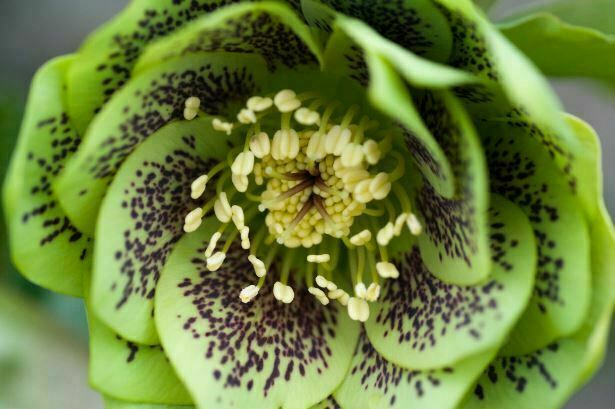 Also known as Helleborus viridis as its Latin name, this beautiful flower is perfect for shady garden as it provides fresh elegance. Blooms its flowers from March to April, it certainly knows how to put a show even when placed in the corner of the yard. Its beautiful flowers heads hand in such unique position, upside down. Coming in various colors besides green like red, white, yellow, black, purple and pink, it definitely is a beautiful addition to your garden. Also called Spiny Cream Spider Flower, this beautiful green flower appears with medium spreading shrub. 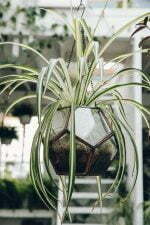 The plant can grow up to 2 meters with light green leaves and soft appearance foliage when seen from distance. 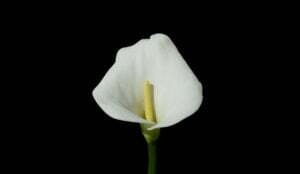 Its flowers are not only beautiful in green but also sweetly and profuse performed. You can view the flowers bloom a bit longer as their blooming period starts from August to December. 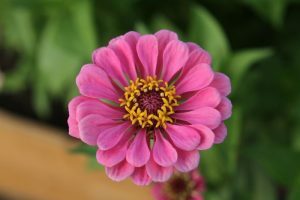 To make dramatic display in your garden, adding the Green Zinnia is definitely the right decision. This beautiful flower never fails to look sensational either in the vase or in garden. Combined with fresh arrangement, it creates beautiful flower display for bouquet. As annually blooming flower, it shows its true beauty in fall or summer and it frosts during the winter. 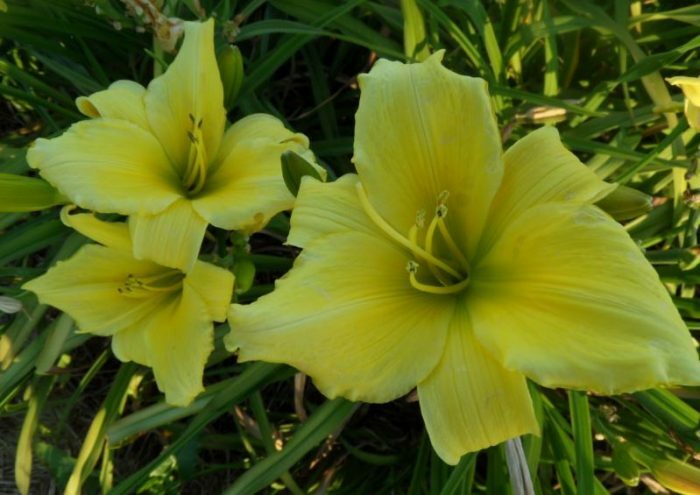 Daylily is among the most beautiful variety of green flowers with variety of beautiful shades including gold, lavender, purple, yellow, red and pink. Only the true and white colors are rare in the market although many hybridizers have starting to produce those colors for their customers. It is easy to find daylily that the cultivars produce and sell with interesting and beautiful patterns. Some patterns are even quite dramatic although they come as single pattern, not two or more. The patterns appear on different parts. For instance, some patterns are on the petals, sepals or even both depending on the cultivar. Often planted in cottage or borders garden schemes, this gorgeous flower never fails when it comes to making excellent cut flowers. It has striking green color which definitely can make statement either in the vase or in border. Planting and growing it is best done in moist soil with good drainage and full sun. If you grow it in the crowded border plants, no staking is needed. But in the windier sites, staking is definitely needed. When planted outdoor, the Chrysanthemum loves full sun and shelter a lot with good drainage and abundant of organic matter. And during the winter, the Chrysanthemum in a pot can be moved indoor for protection. 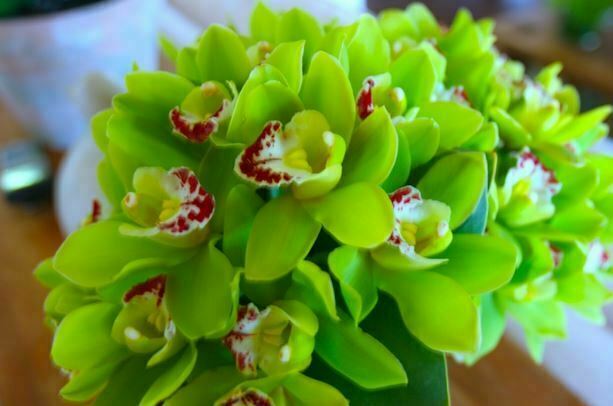 Despite the high popularity of red, orange, pink and lavender orchid in the marketplace, the green orchid is still stunning. 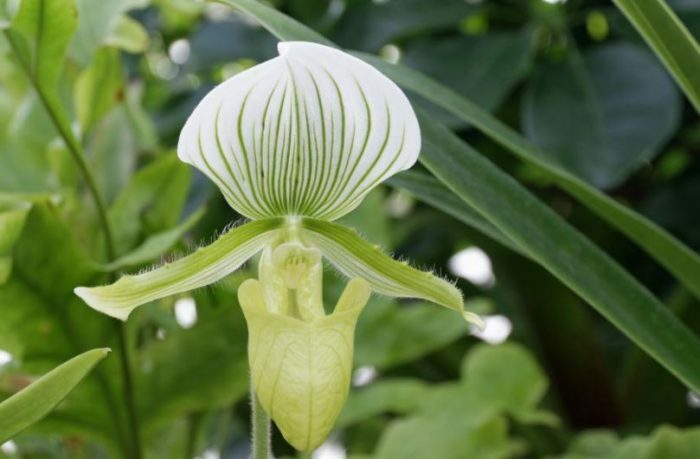 Many growers collect the green-flowered orchids because of their true beauty that is considered very uniquely appealing. So, when you have this orchid in the garden, pretty sure it will attract a lot of attention. When the green orchid blooms, its appearance is striking with varying shape of foliage, lips, leaves and sepal. Some varieties even have predominant color from translucent lime to evergreen. When it is added into the collection, it always adds something indefinably with unique assortment of shapes and sizes that attract enthusiasm. 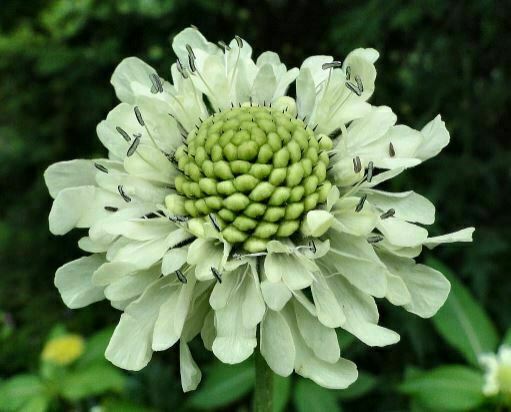 Popularly known as pincushion flower, the Scabiosa will be beautiful addition to the garden that requires easy care. 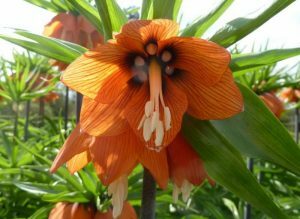 This flower has very interesting appearance that can even be very attractive to the butterflies. If you look for ideal plant for border and bed planting, it is definitely the right choice. It can even be planted in container. With flowering season and long stems, it makes an ideal choice for cutting gardens that annually bloom in the summer. 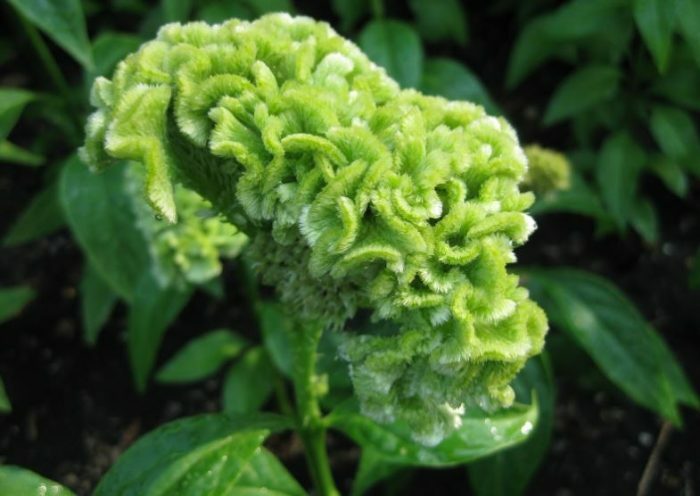 This green flower plant requires replanting in every year for ideal care. With large flower up to 3 inches, this flower definitely will be pretty dominant in the garden. Throughout the year, its foliage will remain green unlike annual type flower. Native to Africa, the Cockscomb or Celosia is a beautiful ornamental plant with unique and colorful flower head. Not only does it come in green but also other beautiful colors like orange, yellow, red, pink and purple. When it blooms, it has spiky heads that are similar to rooster’s comb. The plant itself can grow up to 4 feet tall with green foliage. Not only is it considered as beautiful flower but also used in various traditional herbal medicine for treating eye problems, mouth sores, blood disease and tapeworm. The stems and soft textured leaves are even edible. In many areas across the world like Southeast Asia, tropical Africa, West Indies, South America and Mexico, the flowers are even popular to be eaten as vegetable and mixed in various dishes. 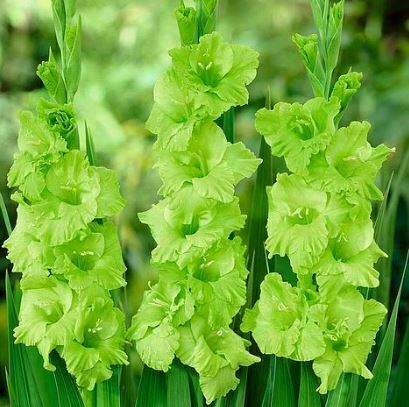 With stunning appearance, the green gladiolus is among the garden favorites with its sturdy and tall stems colored unusually. It is always impressive when blooming in flower or border arrangement. 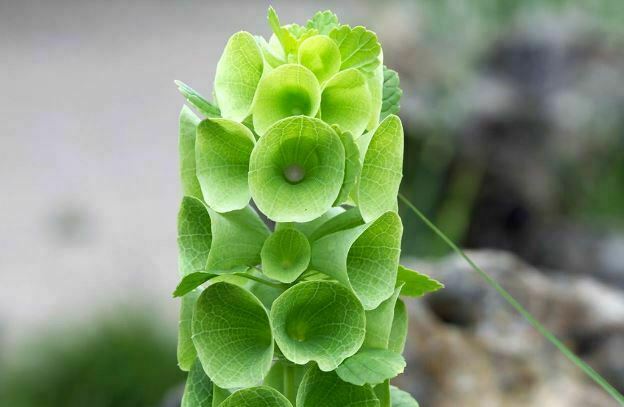 To grow this beautiful green flower is considered easy. It should be started in March of April when the soil has warmed up. Make sure to give it plenty of water for well growth. And, it is necessary to pile well-rotted manure after digging a trench before the planting to help the plant retains water and feed the bulbs. Give more watering for poorer soil. 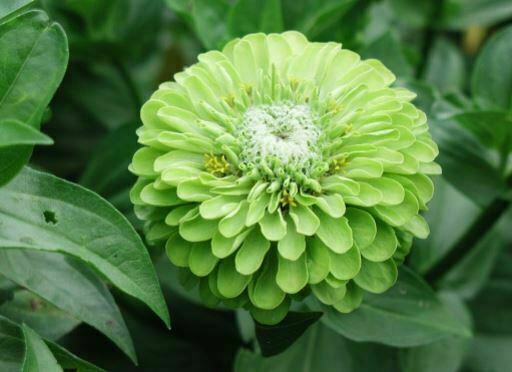 As traditional cottage garden perennial, this green flower type comes in various flower forms. Although its lived is short but it is a biennial in growth. To start the planting, summer is perfect to for seeding and soon it will start to flower the next year. What this flower produces is unique soft petals with deep cut which creates the unusual yet beautiful cut flower. If you want to add it into the floral arrangement, it makes a great choice because the large flower head and strong stems can last for weeks in the water. 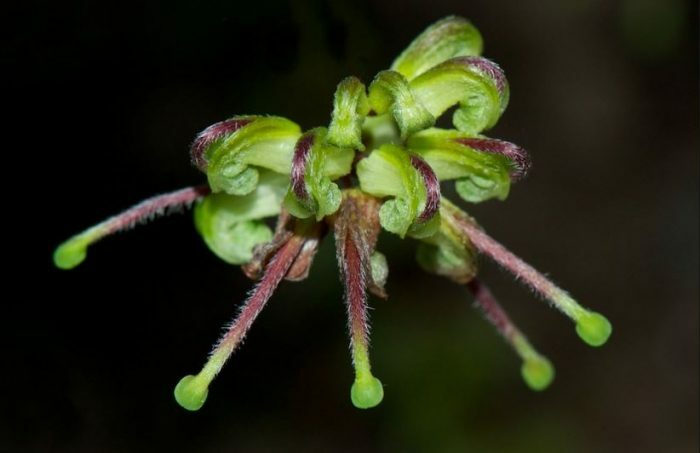 Bells of Ireland is known as stately and distinctive plant with bell shaped calyces and dark green spires. It can grow to 3 feet tall with lush leaves and hidden flowers. What makes this flower stunning is not only its appearance but also its pleasant scent during the flowering period. Native to Caucuses, Turkey and Syria, it has long been symbolized for luck. Its ideal environment is the average garden soil. After planting, make sure to uncover the seeds because their germination requires light. Usually, the germination process can take up to a month before the plants finally produce shoots. To increase the rate of germination, do stratification. 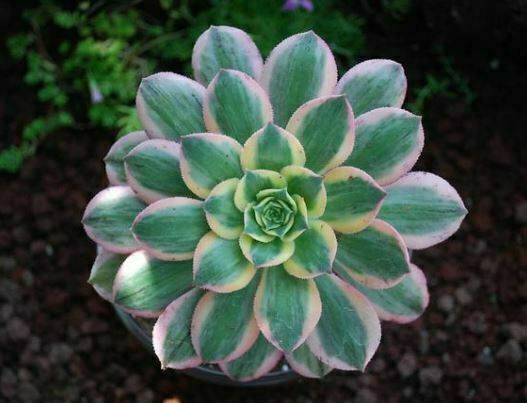 Another type of beautiful green flower is known as Aeonium Sunburst plan which comes as striking succulent plant that provides bright color. With maximum plant height of 30 cm, the plant is indeed a short yet beautiful one. The leaf comes in light yellow accented with green variegation. To have them bursting beautifully, plant them together in rosette clusters and various sizes. For ideal growth, the plants need average weather, not too dry or hot. In the summer, they may go dormant which means they only require water in very dry conditions. As a way of preventing water loss in extreme heat, their leaves curl. Therefore, to make sure they keep growing, you should put them in moist shade in cool and damp temperature around 18 to 24 degree Celsius. Avoid too much moisture otherwise the plant will have root rot. As for the ideal soil, it should be regular potting mix or sandy loam. In case you want to have them planted in container, you need to repot using the fresh potting soil once every 2 or two years. The ideal fertilizer should be with half strength balanced given once every month but not during the dormant.